Gerrymandering in Ohio is a huge problem. 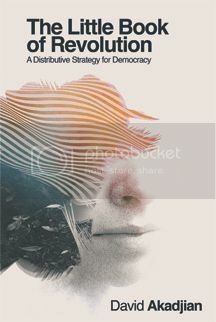 In 2012, Ohio split roughly 50/50 Democrat/Republican but because of a massive state gerrymander by Republicans after the 2010 elections, Republicans control 12 out of 16 Congressional districts and roughly 2/3 of the Ohio House and Senate. It is so bad that there is no competition in any national Congressional districts in Ohio and very little in many state Assembly/Senate districts. The good about this ballot measure is that it is an attempt to create a bi-partisan process with the goal of fairer and more competitive districts. It will create the Ohio Redistricting Commission, composed of 7 members including the Governor, the Auditor of State, the Secretary of State, and 4 members appointed by the majority and minority leaders of the General Assembly. The bad about this initiative is that it is only for the Ohio legislature. It does not fix the gerrymandered Congressional districts. There also is some question as to whether the commission will truly create better districts if it only includes 2 members of the minority party. A much better approach would have been a completely independent commission as even Secretary of State Jon Husted has argued. Still, it’s a step in the right direction. I’m a ‘yes’ on Issue 1. Issue 2 is an attempt to block Issue 3. Proponents of this issue hate the idea of amending the state constitution to allow what they see as marijuana monopolies. So they want to put an equally bad amendment to the constitution into the state constitution to block Issue 3. This is a terrible idea. If you don’t like Issue 3, vote against Issue 3. Amending the state constitution to make it harder to amend the constitution because you don’t like a certain amendment doesn’t seem like a good idea. This is an easy one for me. No on Issue 2. This was by far the hardest vote for me. I started out completely against it because I didn’t like the idea of exclusive rights being granted to 10 growers in Ohio and I didn’t like this being done as a constitutional amendment. I changed my mind on this issue, however. The good part about it is that it would completely decriminalize recreational use of marijuana. This is badly needed and the Ohio legislature will not act on this initiative. So a ballot measure is about the only hope this happens. When it comes to the “monopolies” people talk about, I don’t see how this is much different than how alcohol production and distribution is regulated in our state. Yes, it’s different. But it’s still heavily regulated. The ballot measure also allows for growth of up to 8 ounces of marijuana per year. If you don’t want to buy from a monopoly, you can grow your own. The only way anything passes in Ohio these days is when it is backed by some significant amount of money. I think this is wrong as I think government should work for people (and not try to profit off them). However, this is not changing soon. I changed my mind on Issue 3 because I believe it’s most important we decriminalize marijuana now. Yes on Issue 3. 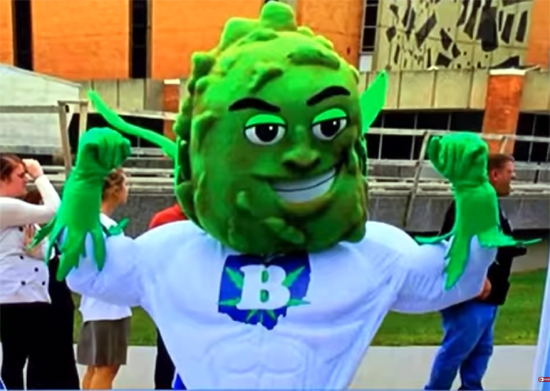 A ‘yes’ vote also ensures that Buddy, the marijuana mascot, never returns. In a nutshell, we shouldn’t have to choose between our parks and our charter. There is no reason why we can’t fund our parks through the same process we fund everything else. We have the money. We have the interest. Writing a permanent tax into the city charter and giving all control of this money to the mayor is a terrible idea. In all likelihood, this will lead to corruption and political kickbacks and will get rid of community and council involvement. I love parks but this should have been proposed in a much better way. My full write-up on this issue is here. I’m voting ‘no’ on Issue 22 because it creates a giant loophole in our city charter and I see no reason why we shouldn’t fund our parks through the same process we fund everything else through. Currently, Cincinnati has a separate mayoral primary in September instead of having the primary on the same day as every other primary in the world. In 2013, this cost the city $440,000 and hardly anyone knew about it. Only 6 percent of voters voted in the last mayoral primary. By moving this to May when all the other primaries are held, it will a) get rid of this cost, and b) increase voter turnout. This change was also recommended by the city council committee on charter improvements. The only potential downside is that it may give incumbents a slight edge on fundraising. On the flip side, it gives voters more time to find out about the candidates. An easy ‘yes’. All this does is move the start date for new council members and the mayor from December 1 to the first Tuesday in January. The reason for doing this is to allow time for any potential recounts. Again, an easy ‘yes’. Hope this helps and happy voting!